Iran’s ambassador to the United Nations in a letter warned the Israeli regime against taking any measure against Iran, saying the country will not hesitate to do self-defense in this regard. According to IRNA, the letter said that Israel Prime Minister Benjamin Netanyahu’s comments about the Zionist entity navy blocking the Iranian petroleum shipping via the sea and calling for halting the shipping of Iran’s oil is a flagrant threat to use force “inconsistent with the Purposes of the United Nations”, and accordingly is a blatant violation of article 2 (4) of the Charter of the United Nations which prohibits the threat or use of force. 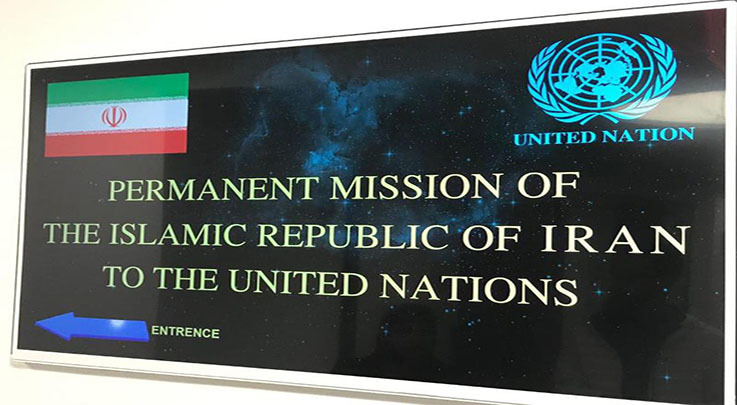 Iran’s ambassador also has tried to induce that there exists an international sanction banning the export of oil by Iran, while there have never been such sanctions even in the already terminated resolutions of the Security Council. On the contrary, the Security Council, through its resolution 2231 (2015) has endorsed the lifting of “all multilateral and national sanctions” including the “transport of Iranian oil, petroleum products, gas and petrochemical products” and “efforts to reduce Iran’s crude oil sales”, he added. “Taking into account the already volatile situation in the Middle East, compelling the Israeli regime to put an immediate end to all of its provocative policies and destabilizing practices is both necessary and urgent,” the letter added. The letter called on the Security Council to hold the Israeli regime accountable for all of its wrongful acts which are posing a threat to international peace and security and to prevent its imminent threats.